Inhalation of cannabis smoke is its most common use and the pulmonary complications of its use may be the single most common form of drug-induced pulmonary disease worldwide. However, the role of cannabis consumption in asthma patients and allergic clinical situations still remains controversial. To review the evidence of asthma and allergic diseases associated with the use of marijuana, we conducted a search of English, Spanish, and Portuguese medical using the search terms asthma, allergy, marijuana, marihuana, and cannabis. Entries made between January 1970 and March 2017 were retrieved. 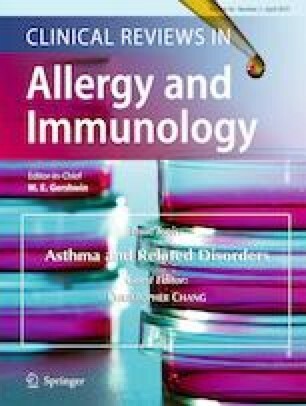 Several papers have shown the relationship between marijuana use and increase in asthma and other allergic diseases symptoms, as well as the increased frequency of medical visits. This narrative review emphasizes the importance to consider cannabis as a precipitating factor for acute asthma and allergic attacks in clinical practice. Although smoking of marijuana may cause respiratory symptoms, there is a need for more studies to elucidate many aspects in allergic asthma patients, especially considering the long-term use of the drug. These patients should avoid using marijuana and be oriented about individual health risks, possible dangers of second-hand smoke exposure, underage use, safe storage, and the over smoking of marijuana. This manuscript received no grant.